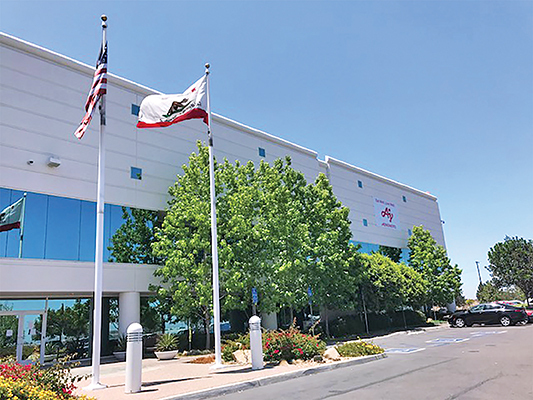 San Diego  When Ajinomoto Foods North America Inc., stumbled upon the chance opportunity to set up shop in Otay Mesa, after Tyson Foods decided to sell its San Diego-based Circle Foods plant, those in charge knew they had to jump on the opportunity. The land was purchased last year and Ajinomoto closed on the acquisition of the plant just two months ago. After a few down weeks, the company officially launched its operation in late April. And, while about 480 full-time jobs were lost when Circle Foods left town, Ajinomoto retained 70 percent of Tyson employees by way of 342 positions filled with two production lines, with plans to create an additional 80 to 100 jobs when a third production line is added next year. Part of the reason Ajinomoto was able to move so quickly was because it applied to Civic San Diego for $10 million in new market tax credits, which financed a portion of the site improvements and equipment. In exchange, Ajinomoto promised to continue to create jobs in the low-income community. “It cost a lot of money for us to do this, especially in the time frame we did it, but, through this special program, it helps to cover a piece of the cost,” said Taylor. Civic San Diego, located near City Hall in downtown San Diego, is a city-owned economic development nonprofit that helps the city scout for new initiatives to reinvest in high-impact pockets of the county through a tax-bidder program. According to Michael Lengyel, assistant vice president of Civic San Diego, the qualifications include being in a distressed community and creating a significant number of jobs in that area. Otay Mesa has a 12.5 percent unemployment rate, as compared with 2.9 percent countywide. Ajinomoto Foods North America, which was established in 2015 under the global Ajinomoto Group parent company based in Tokyo. Ajinomoto Group was founded more than 100 years ago and operates in over 100 countries and at 11 locations across the United States. Just last year, Ajinomoto Foods North America opened an appetizer facility in Missouri, which it is concurrently getting up and running with the San Diego location. Some of Ajinomoto Foods’ other brands include Ling Ling, Tai Pai and Bernardi Foods, Asian and Italian frozen foods, respectively. Some of Ajinomoto Foods’ top customers are Walmart, Costco and Trader Joe’s. Jose Ole Mexican Frozen Food products retailers include Sam’s Club, Albertsons and Safeway.